Katowice is breaking away from the stereotype of a typical post-industrial city. The city has focused on culture and it hit the bull’s eye, because it turned out to be a real driving force for the city. 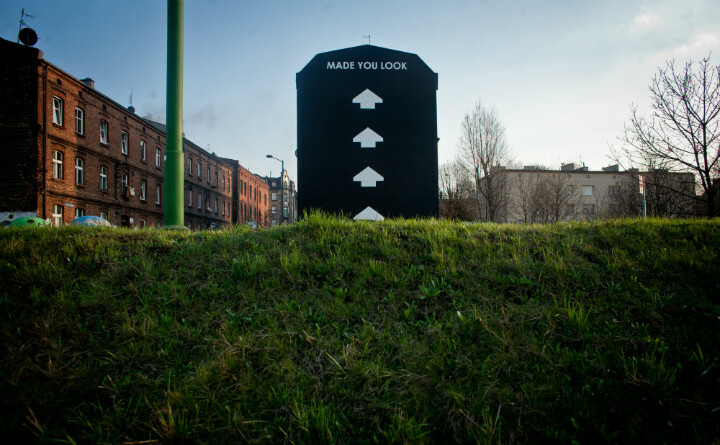 Apart from many musical events (Off Festival, Tauron Nowa Muzyka), Katowice is turning into an outdoor art gallery. 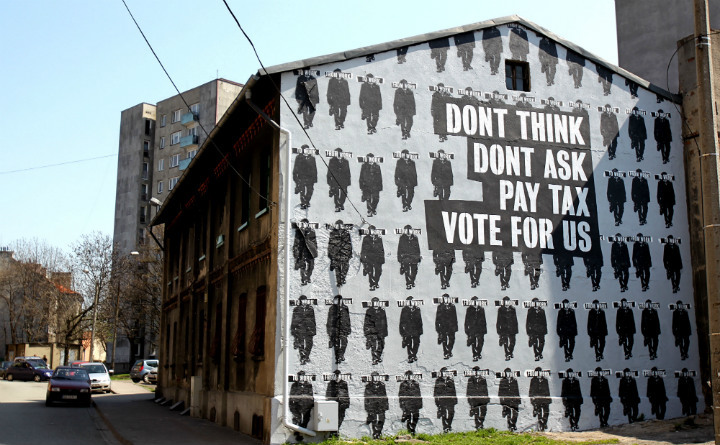 Street art rules! Katowice is still redefining itself and looking for its niche on the tourist map of Europe. Katowice did not become the European Capital of Culture 2016, but thanks to the efforts to become one a few interesting events have been organized in the city, such as the Street Art Festival. 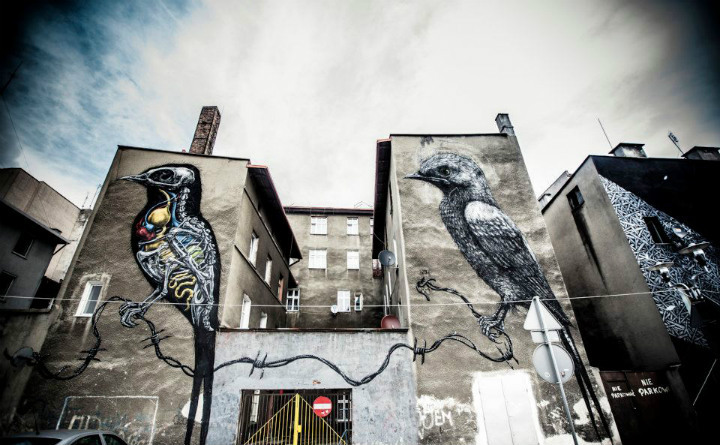 A craze for murals started in Katowice for good, sweeping across other Silesian cities. In the beginning, the street art works were created only in the city centre, but gradually they started to appear also in other districts. Within a few years, the city has been covered with dozens of large-scale murals, which have been created not only by local artists, but also by well-known street artists, such as American Axel Void, Australian Ian Strange (Kid Zoom), Spanish Escifa or SpY. 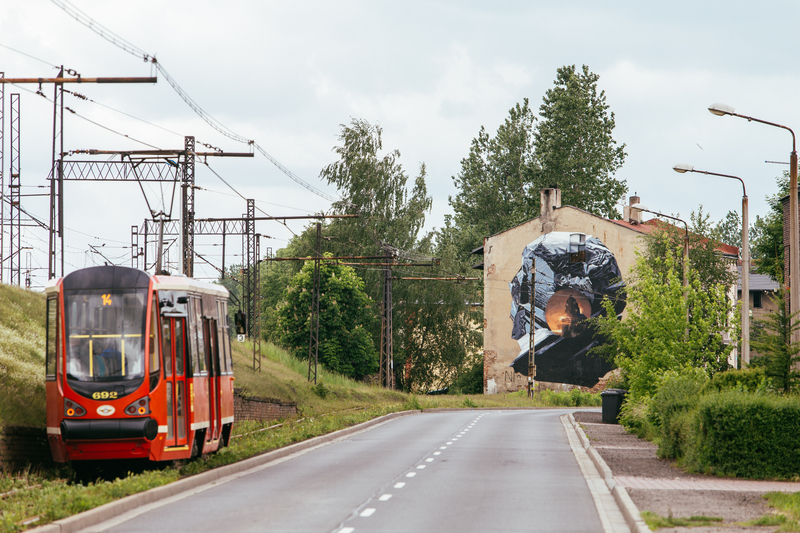 A trip on the trail of Katowice murals is a great alternative way to see the city and its hidden treasures. The map of murals created within the Street Art Festival will come in handy. Some of them are located quite a distance from the centre, so you may consider going by bike  One day is certainly not enough to see all murals – the official and less official ones. To help you to choose, below you will find my “TOP3” Katowice murals. 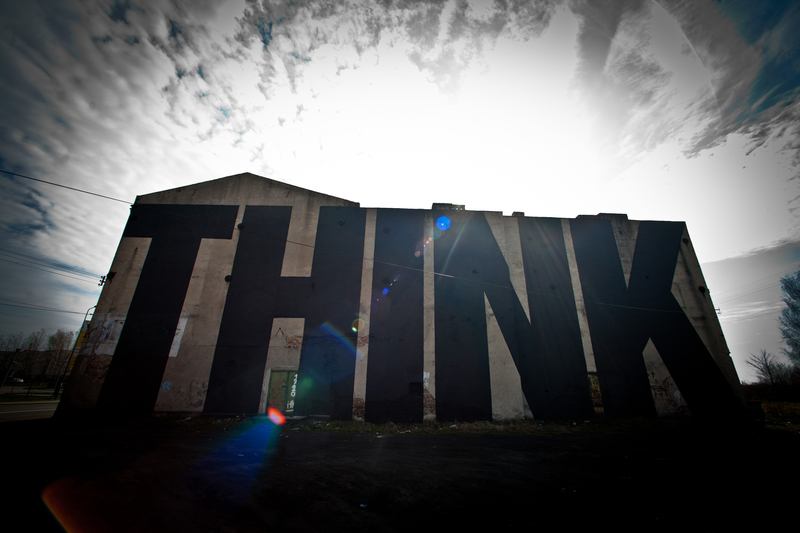 In my opinion, they are the must-see for each street art enthusiast. A brand new mural from the last year’s edition of the Street Art Festival. Axel Void, an artist living in Miami, referred in his work to the history of the place from which you can see the remains of the steelworks “Uthemann”. The mural shows a rock of zinc, and inside it there is a burning building of the management of the former steelworks. 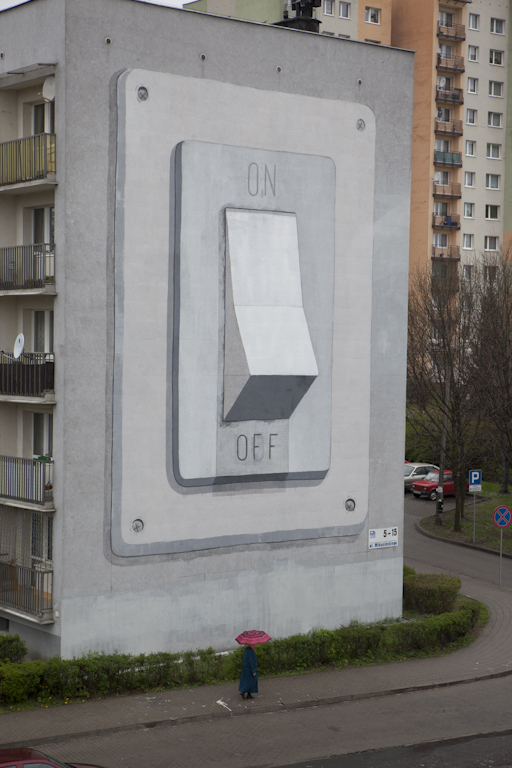 Escif painted a big light switch on the wall of the building located in the district Józefowiec, away from the city centre. It is really impressive, so it is worth going there. Here, letters and words are the most essential part the work, and the message is clear and precise. SpY makes you think and reflect on yourself and the world in an original way. What are your favourite murals? In Katowice, you can find them almost everywhere: on Tylna Mariacka Street, Gliwicka Street, Mikusińskiego Street, Bednorza Street, Krakowska Street and Wincentego Pola Street. 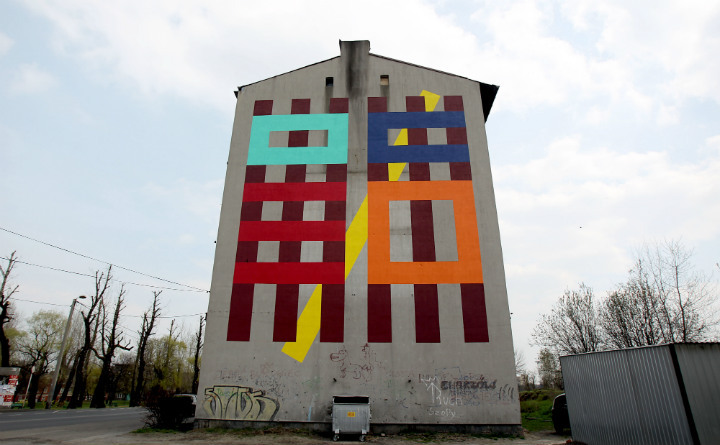 When walking around the city on foot or going by bike, you can create your own map of Katowice murals. And after an all-day sightseeing you can rest at angelo by Vienna House Katowice.